Hire Kleen Aire Services for all your indoor air quality needs. We clean furnaces, ducts, vents, and more. From furnace filter sales to insulation removal, we are the business to call. 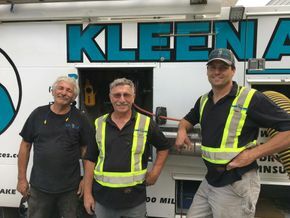 Get in touch with Kleen Aire Services today to request a quote and schedule your cleaning services. an appointment or have any questions, please let us know. of filter brands we have in stock? These and other general questions can be answered with a quick email.